A toothache is pain or soreness that you feel within or around your tooth. A toothache often signals a problem with your tooth or gums, such as tooth decay, gum disease, tooth abscess, or an impacted tooth. 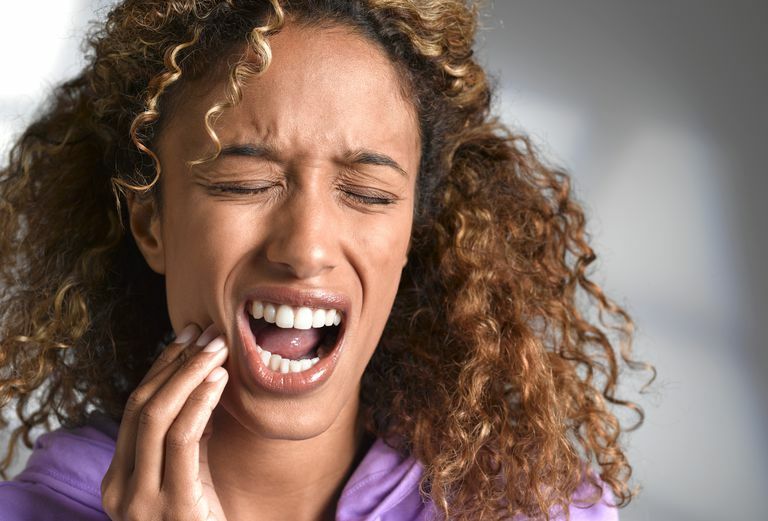 Tooth pain, however, can also be connected to an underlying health issue, so it's important to see your health care provider if you have this type of pain. Although there isn't any scientific support for the use of toothache remedies, the following home toothache remedies are sometimes said to help get rid of toothache pain. An oil said to possess pain relief properties, clove essential oil has long been used as a folk remedy for toothache. In a survey published in Complementary Therapies in Medicine in 2017, researchers surveyed practicing dentists in Germany and found that clove was one of the most commonly recommended plant extracts. Eugenol, a key component of clove oil, may have analgesic, antiseptic, and antibacterial properties, according to preliminary studies. The limited research on clove oil for toothache includes a preliminary study published in the Journal of Dentistry in 2006. In this study, scientists tested the pain-relieving effects of homemade clove gel and benzocaine (20 percent) gel. Results revealed that both clove oil and benzocaine gels resulted in significantly lower pain scores compared to a placebo. Some proponents suggest dipping a cotton ball in one drop of pure clove oil that has been diluted in one teaspoon of olive oil and placing the compress beside the tooth. A patch test should always be done to determine if you have a sensitivity to the oil. Like other essential oils, clove oil is very potent and shouldn't be ingested, used in excessive amounts, or applied to broken skin. Clove oil can increase the risk of bleeding and cause a rash, itchy eyes, or shortness of breath. Ingesting or absorbing large amounts can cause vomiting, sore throat, seizure, difficulty breathing, kidney failure, or liver damage. Undiluted clove oil used in the mouth can cause burning, tissue or nerve damage, and pain. Children, pregnant or nursing women, and those with certain medical conditions shouldn't use clove oil. You can find out more about clove oil, but if you're considering using it, it's a good idea to consult your dentist or health care provider for guidance. A compress made with raw garlic cloves is sometimes recommended to stop toothache pain. In a case report published in Primary Dental Journal, the use of a raw garlic poultice applied to the skin for a toothache resulted in a significant chemical burn to the face. Crushed raw garlic cloves left in the mouth overnight resulted in a garlic burn injury (skin sloughing and ulcers), according to another case report. Remedies that are sometimes said to ease toothaches include apple cider vinegar, baking soda, cinnamon, coconut oil, cayenne pepper, vanilla extract, green tea, honey, tea bags, oregano oil, salt, tea tree oil, and other essential oils. Be sure to speak with your health care provider if you're considering trying any natural or home remedy to be ensure that they're safe for you to use. Vinegar may cause burns, for instance, and essential oils such as oregano, cinnamon, and tea tree oils should be used only in extremely small amounts and shouldn't be ingested. In a case report, a person used an oral rinse made of 3 percent hydrogen peroxide for over two minutes as a self-treatment for oral discomfort and had pain and extensive chemical burns and tissue damage on the gums and inside the mouth. While it may be tempting to try a natural or home remedy (or wait to see if your toothache improves), you shouldn't self-treat or avoid or delay standard care. A toothache usually requires dental or medical treatment. Pain due to cavities can worsen, and some toothaches can be a sign of a condition that requires immediate treatment. Alqareer A, Alyahya A, Andersson L. The effect of clove and benzocaine versus placebo as topical anesthetics. J Dent. 2006 Nov;34(10):747-50. Sisson D, Balmer C. A Chemical Burn from a Garlic Poultice Applied to the Face to Treat Toothache: A Case Report. Primary Dental Journal. 2014;3(1):28-29. Baatsch B, Zimmer S, Recchia DR, Büssing A. Complementary and alternative therapies in dentistry and characteristics of dentists who recommend them. Complementary Therapies in Medicine. 2017;35:64-69.